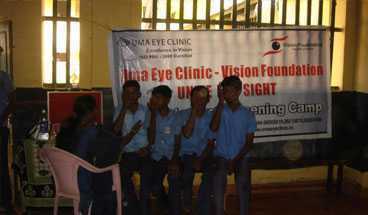 Uma Eye Clinic aims to reach out to the public in delivering quality eye care. In keeping with this social consciousness the Clinic has started a couple of initiatives which are overseen by Mrs. Uma Varman. As a social initiative, Vision Foundation was started to help that strata of society who could not afford or access highly advanced eye care. 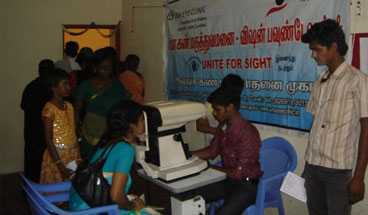 Vision Foundation conducts nearly 30 eye camps in a month in and around Chennai.Various NGOs have aided us in this charitable and noble venture. Rotary Club of Madras, Sathaya Sai Organisation, Equitas, to name a few. Simple ailments are treated at the camp site. 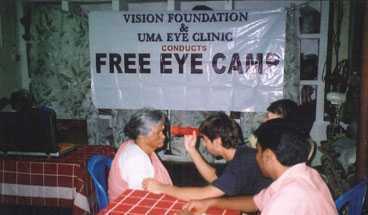 Patients requiring any further investigations or treatment are referred to Uma Eye Clinic Vision Foundation Centre. 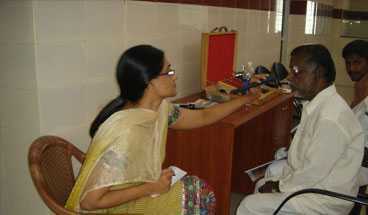 The Vision Foundation Centre is fully equipped clinic with examination and diagnostic facilities. 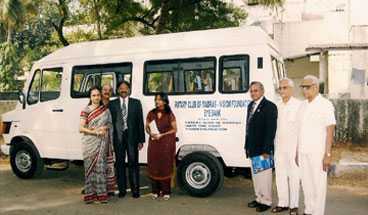 A van donated by the Rotary Club Of Madras is used to ferry patients from distant places. 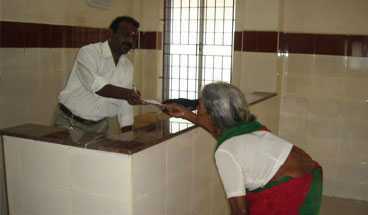 Free cataract surgeries are performed at the main clinic. Almost a 100 phacoemulsification with foldable IOL implants are done every month. These are done in the same state of the art operation theatre at Uma Eye Clinic. Similarly, all other sophisticated diagnostic procedures and state of the art treatment modalities are offered to these needy patients.